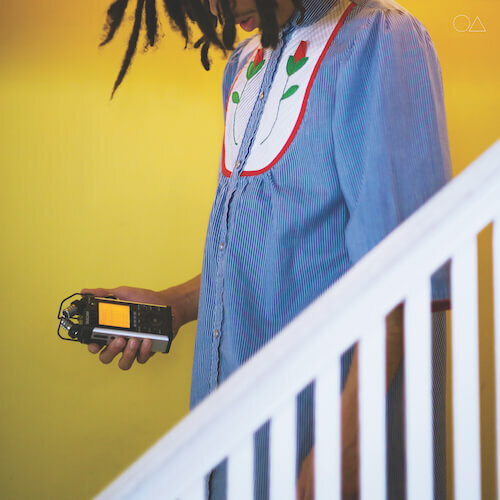 O∆, the debut album from self produced american songwriter, London O’Connor, is a post-any-genre narrative told through vivid and visual production he made from the contents of his backpack while sleeping on floors and couches in New York City. It details the suburban world he grew up in and fled from in Southern California years before. His story is not that unlike many others, “a kid who feels stifled in America’s suburbs and wants to get out.” But, there is a clarity and vulnerability in London’s version that is rare. From the meticulously simplified arrangements to the lyrics that stand out more as admissions than punchlines, to his opening live sets in New York that saw him perched on top of a solitary cube of light in a blacked out venue– London’s mode of expression is to reduce until there is nothing left to hide behind. London O’Connor applied and was accepted to music college in New York, and within his first week met his instant brother and inseparable friend, Davis. “I was never supposed to produce my first album, or any of my albums. Davis was supposed to produce them. He was the greatest artist I have ever met. I was going to help him with the vision on his projects and he was going to produce mine.” Davis’ sudden and unforeseen death left London without a brother, a producer or a rooted feeling of belonging anywhere. A resourceful and strong-willed artist by nature, London didn’t seek to find a replacement, but instead sought to “defend himself” with sound. He stepped up his production, locking himself in a room for almost two years training his arrangement and composition skills, and simplifying his lyrics. He focused his expression first to the production of ambient music (a space to inhabit) and then built up to pop structured songs. His first lyrics were those of a captain traversing a sterile environment. O∆ is the result of that era of trauma and resolution. The goal wasn’t to produce pop standards, but to render memories and surroundings with pop music’s core simplicity. His response since leaving this bedroom has been both exacting and holistic. His release of singles “GUTS” and “Nobody Hangs Out Anymore” traveled quickly from soundcloud playlists to DJ rotations on BBC Radio 1 and some American non comm stations. His one-of-one performance cube which he likens to a ship, sat with him on a plane to play shows in the UK and France within months of his album’s initial self release. The original version lingers on the internet along with a tweet of his cellphone number “if you’re from nowhere I’m here until my cell phone explodes 858 232 9290.” The creative direction of London’s body of art and the viscerality of its themes to overcome one’s environment liken the symbol, O∆, in the eyes of his fans to one perceived like the emblem for the Rebel Alliance. A remastered version of O∆ will be released physically and digitally February 17 on True Panther Sounds. London is currently traveling and continuing work on his self produced follow up album.